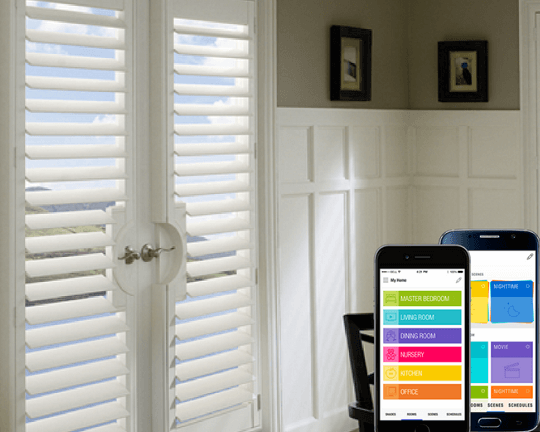 At Shades By Design, we are able to automate or motorize practically any type of window treatment, including plantation shutters. Our expertise expands from hard-wired and battery operation to total smart-home automation systems. No need to struggle manually with your shutters or even get up for that matter. 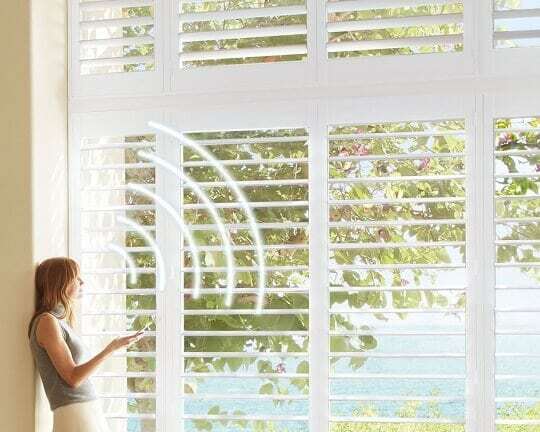 Operate your shutters with ease, from your desk, lounging on your couch, or from the comfort of your own bed. 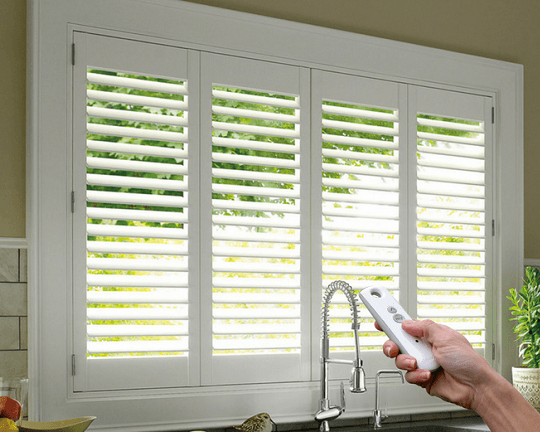 In both senses of the word- not only can you adjust your plantation shutters via a remote control, wall switch or third-party app, you can also adjust them remotely on the go, giving you control when you need it. Motorized plantation shutters cab be on a pre-programmed schedule or you can change them at a moment’s notice from a remote location, providing personal automation on your timing. Click here to learn more about the different motorization options we offer. Contact us to schedule your FREE on-site consultation.